Warm & cuddly on the outside. Hot & clammy within. If Liverpool played as poorly on the pitch as they do off it they'd be relegated. 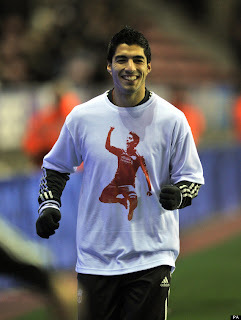 They've learned nothing from the first Suarez Crisis, have badly mishandled the second and been left chasing the game. Kenny Dalglish set the bar high with when he joined the players in wearing a tee-shirt supporting the Uruguayan following the racial fracas with Patrice Evra. 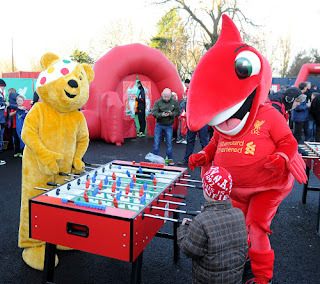 And King Kenny took it up a notch when he firstly failed to make sure Suarez shook hands with Evra at a subsequent game against Manchester United and then gave a churlish and childish post match-interview in which he claimed he had seen nothing. Perhaps Dalglish would have given the benefit of the doubt but most of his interviews, pre- and post-match, were cut of a similar cloth. Let us be clear about it. Dalglish won the League Cup and reached an FA Cup final. He was not fired because he was a poor manager; he went because he had no idea how to handle modern management and was a public relations liability. So Liverpool swept out the old regime, including their long standing press officer, and brought in a more forward facing (I believe that is the phrase) team. Before the club had a chance to bask in the rays of openness following the transmission of Channel 5's “Being Liverpool” they were turfed out of the deckchair when their new communications director threatened a blogger. Jen Chang, an American, lasted less than seven months before he was shown the door. Chang’s successor is Susan Black. Her appointment was announced on April 18th. Three days later Suarez bit Branislav Ivanovic. The initial apology with quotes from Suarez, managing director Ian Ayre and Brendan Rodgers was a textbook response but as the Crisis unfolded Liverpool and Black have been caught out of position again and again. They have made the same mistake they did last time of treating Suarez as special case. Everybody knows that if a fringe player had behaved in the same way Liverpool would have dismissed him instantly but, blinded by the short termism of protecting their investment, they mollycoddle the star and excuse his behaviour. Brendan Rodgers comparing the Suarez bite to a tennis player smashing a racket was ludicrous. If Susan Black coached him or prompted him to say that she should be next out of the door. Then Suarez, having been banned for ten matches, issues a statement with the mealy-mouthed whiff of victimization. Ayre makes it a hat-trick of own goals, again presumably with Black’s input, by making it known that the club fine imposed on Suarez would be donated to the Hillsborough Family Support Group. How crass. 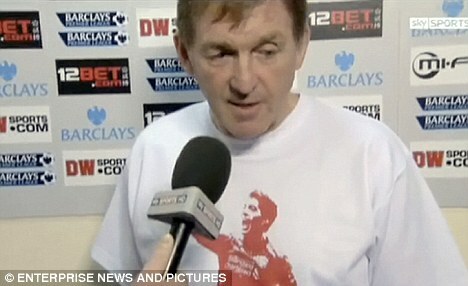 If in doubt let’s invoke the memory of Hillsborough as everybody sympathizes with us. Everybody that is, except the relatives of the victims of Heysel.